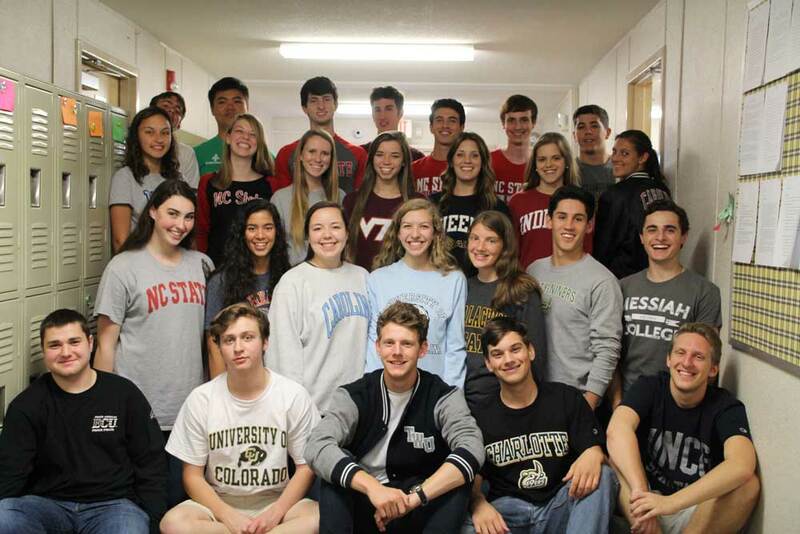 Trinity Academy provides a comprehensive college counseling program that offers individualized support for every Trinity family, utilizing the most current college resources available. We begin early freshmen year with a college visit to raise awareness of the academic record they are building and the process involved. The programming builds each year in an age-appropriate manner to include visiting speakers on the admissions process, college essays, and financial aid. Along the way, students are offered opportunities to learn more about themselves through self-assessment inventories and career fairs. Juniors and Seniors meet individually with a college counselor for personal guidance through the college process. Understanding that the college process can be a stressful as well as an exciting time, we aim to equip students and their families with knowledge and provide an encouraging perspective. Ultimately, our program seeks to provide encouragement, guidance, and support so that all Trinity students may find and fulfill the purpose and plans God has for their lives. To view ACT locations click here. To view SAT locations click here.